Gov. Ibikunle Amosun of Ogun said on Thursday that his administration had spent about N170 billion to rehabilitate federal roads across the state since 2011. Amosun made this known while fielding questions from members of Civil Society Organisations who held an interactive session with him at the June 12 Cultural Centre in Abeokuta. He said that the state could not wait for the Federal Government which had to fix many of such roads across the country while the people of the state suffer. “We do not have federal citizens, we only have federal roads and our people have to make use of the roads,” he said. Amosun, who pleaded for a refund, called on the Federal Government to hand over some of the federal roads to states so that they could fix them through investors and toll them. He said the rehabilitation would be more effective and faster if some of the roads were ceded considering the number of federal roads being handled by Federal Government. He also commended the Federal Government for approving funds for the rehabilitation of the Lagos-Abeokuta road. The post We spent N170bn to rehabilitate federal roads—Gov. 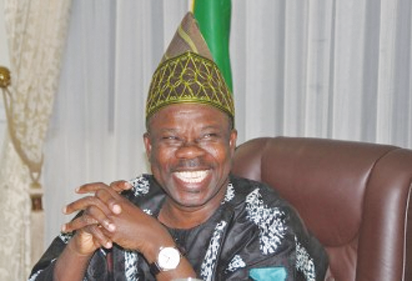 Amosun appeared first on Vanguard News.